Listen to the new Uncovered audio book! Leah Lax’s work includes award-winning fiction and nonfiction as well as staged productions with major American composers. Leah Lax joined the Hasidim, Jewish ultra-orthodox, as a young teen and spent thirty years among them. Uncovered is her memoir of those years—as a closeted lesbian in an arranged marriage and mother of seven. 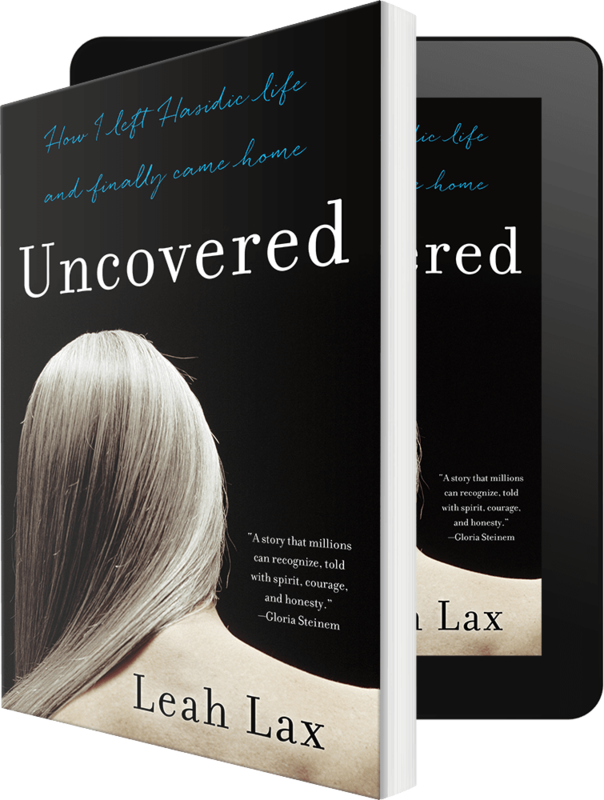 In Uncovered, Leah Lax tells a story that millions of women can recognize. All over the world are women whose bodies are covered, not by their own decision, but by one of the many patriarchal religions that by definition rule their wombs. Leah Lax lived that life, yet has the spirit, courage and honesty to tell her story.